We have been studying hair, one of the most essential aspects of beauty, and delivering our products since the establishment of the company in 1986. Everybody wants to look younger and more beautiful. Your hairstyle can change your face, clothes, and mood. Your hairstyle can make you feel like a different person. But you have to keep in mind that hair becomes gray, thin, and even falls out depending on your age. RUAN has spent years researching this problem, and has succeeded in providing products that satisfy customers. We will continue our effort in helping people who have hair problems. And, I guarantee, we will serve you with the best products and services available on the market. RUAN was established in Maebashi. Main office moved for expansion. Showroom was opened in Maebashi. 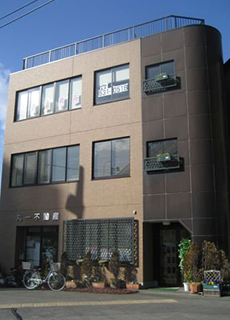 Main office moved to Minami-cho, Maebashi. Started producing Super Million Hair. Tokyo office opened in Yamato-cho, Tokyo. 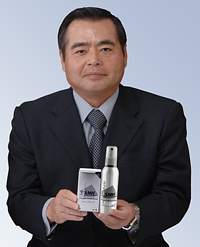 Nationwide sales network of Super Million Hair was established. Started to export Super Million Hair to USA. Hair Salon RUAN was opened. Started to export Super Million Hair to Taiwan. Started to export Super Million Hair to Korea. Started to export Super Million Hair to Europe. Started selling on the internet. Tokyo office moved to Sasazuka, Shibuya-ku. Osaka Branch opened in Amagasaki, Hyogo. Started to export Super Million Hair to Hong Kong. Started to export Super Million Hair to Singapore. RUAN and Gunma University joint research project started. Speech by Mr. M. Nashimoto cerebrating 20th Anniversary of Super Million Hair. 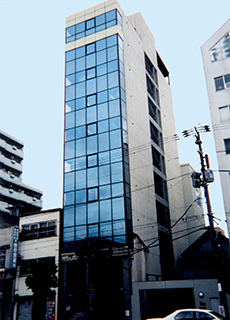 Nagoya office opened in Nagoya, Aichi. Started selling Super Million Hair EX.